Ali Fedotowsky Gives Birth to a Baby Girl: First Photo! Ali Fedotowsky Gives Birth, Welcomes Baby Girl with Kevin Manno: First Photo! She was so worth all that morning sickness! Season 6 Bachelorette Ali Fedotowsky and her fiancé, Kevin Manno, have welcomed their first child together, the couple confirm exclusively to Us Weekly. The couple’s daughter, Molly Sullivan Manno, was born at 8:22 a.m. on Wednesday, July 6. She weighed in at 7 pounds, 6 ounces, and measured 22 inches. 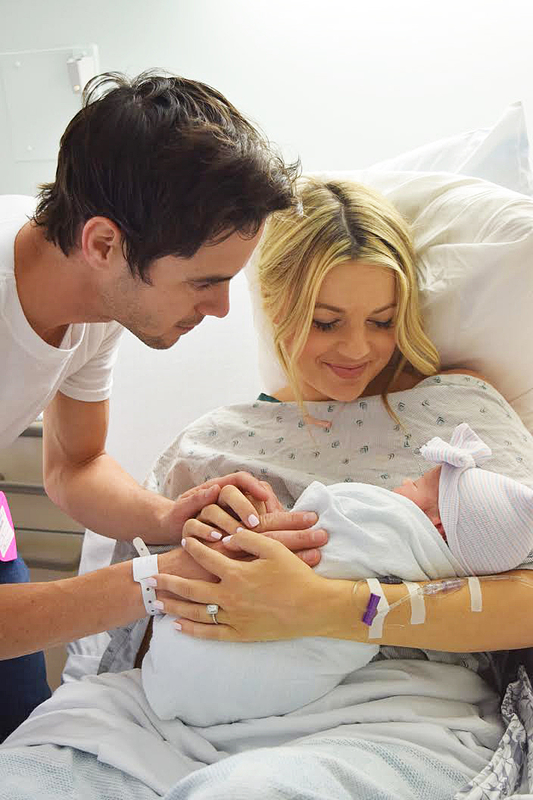 "This little angel is not even a day old and is already our entire world," Fedotowsky tells Us in a statement. "Molly Sullivan is named after two very important women in our lives. My late grandmother, Molly Fedotowsky, and Kevin&apos;s late grandmother, Eva Sullivan, will both live on in our little girl." Later in her pregnancy, the former Bachelor star was placed on modified bed rest. “I have this thing called uterine irritability where I have contractions all day. So, like, every two minutes I get contractions,” she told Us on May 20. Fedotowsky and the radio host announced their engagement via Instagram on September 3, 2015. They canceled their wedding plans in Mexico due to Zika virus risks.